Everyday Kindness Is Not Impossible…! Last week quickly went by and most of my time since the last Post has been doing community volunteer service in support of one of my Kiwanis Club’s fund-raising activities. 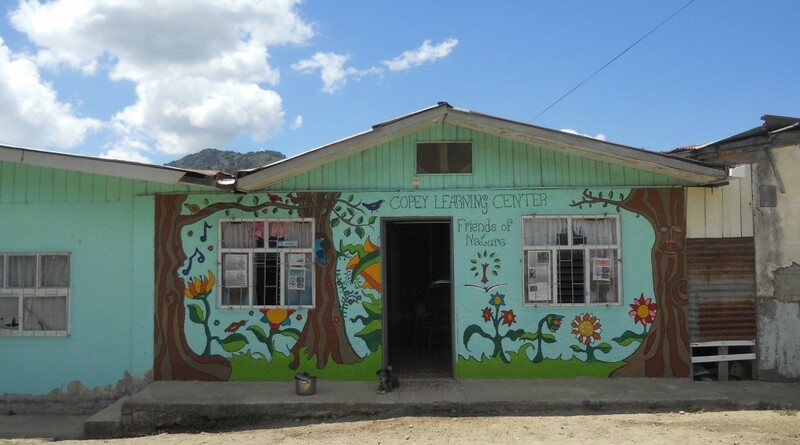 This week, I return to being highly focused on “Friends of Copey” and prepared for a very busy three months before the Learning Center closes for their summer break in late November or early December. Here are some of the action items on our huge plate for the next few months! Resume the K-Kids International Pen Pal Program with the Jefferson Elementary students in Richland, Washington. Initiate a minimum of two additional Pen Pal Programs in the USA to introduce more students to the Learning Center students. Complete one additional fund-raiser to support the operations of the Learning Center. Start the groundwork for the 2017 “nation-wide yard sale drive”. “Friends of Copey” presentation to the Kiwanis Club membership. Additionally, there are two or more important surprises being worked on but we are not ready to make any big announcements yet. to identify the next two deserving students who will be invited to travel to Emory & Henry College in June, 2017. Similarly, we will be supporting Emory & Henry College’s efforts to select two college students interested in volunteering several weeks next Spring at the Learning Center. This past Spring, we enjoyed sharing the success both Casey and Xavier experienced as the “first” E&H College volunteers to work at the Learning Center. My “Friends”, there is plenty still to do to get us to the 2016 finish line. With about two-thirds of the year now completed, there is already much to be proud of. We are certainly tracking well towards accomplishing all our 2016 goals but we are not completely there yet. Keep praying and keep being positive! ← Just An Ounce of Mom…! Keep praying and keep being positive! We are off to Utah, Idaho, Wyoming and Montana this weekend and will be incognito until after Sept. 15. I saw the Tetons, Jellystone and Glacier while working for the USPHS Indian Health Service in Arizona and Utah the 60’s, and Linda was there as a child w/ her grandfather. Now we will see the Rockies again with new eyes and spirit!